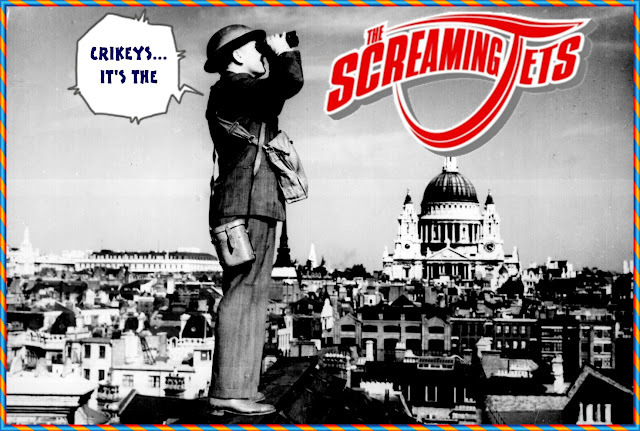 March.....Renamed as The Screaming Jets, they won the inaugural National Band Competition run by youth radio broadcaster Triple J in November. 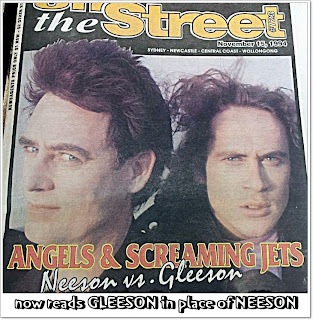 They relocated to Sydney by early 1990 and supported The Angels on a national tour. In May, they signed with independent label, rooArt. 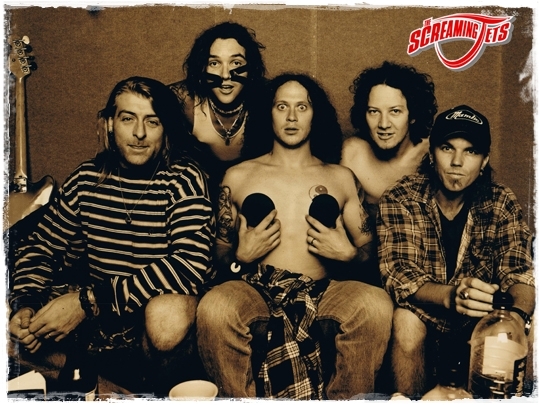 Their debut extended play (EP), The Scorching Adventures of the Screaming Jets, was issued in December. 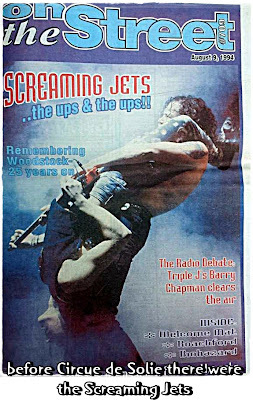 Through late 1990, The Screaming Jets became famous OR infamous, depending on which side of the parent /child paradime you were on, for a series of raucous, sometimes violent, live shows. 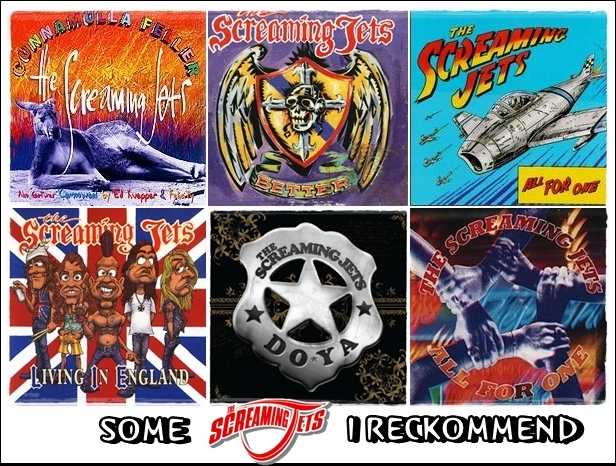 In April 1991, The Screaming Jets released their debut studio album All for One which peaked at No. 2 on the Australian Recording Industry Association (ARIA) Albums Chart and spawned a No. 4 hit single, "Better".The album showed influences from Van Halen, AC/DC and The Angels. It reached the Top 50 on the ARIA End of Year Albums Chart for 1991.Two top 40 singles, "Stop the World" and "Shine On", followed The controversial track "F. R. C." ("Fat Rich C**ts") was a crowd favourite – a live version was released on Stealth Live! 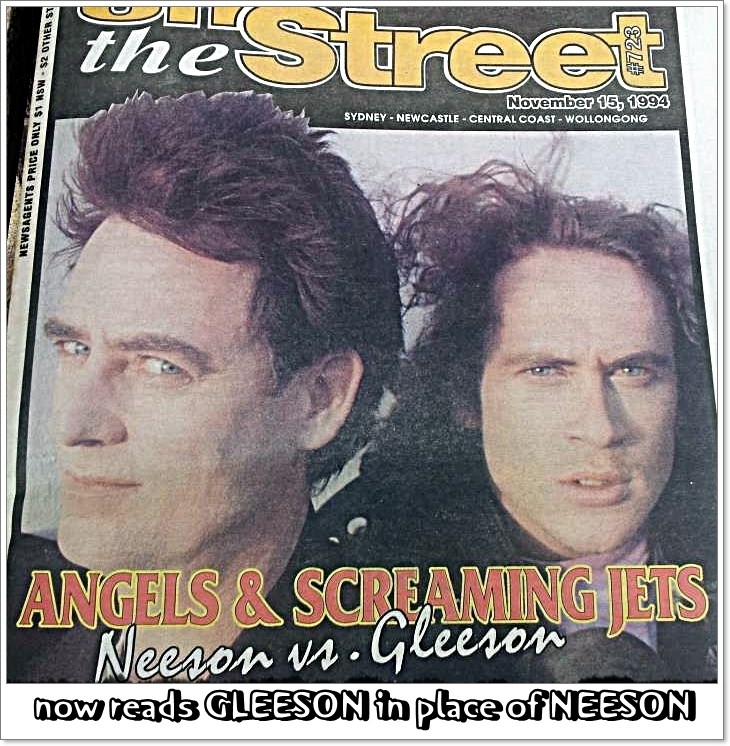 (EP, 1991) – which Gleeson would dedicate to Michael Gudinski or Russ Hinze at concerts. At times, "F. R. C." was performed by guest vocalists from Mortal Sin, The Choirboys or The Angels. Following the album's release, the group relocated to the United Kingdom where they based themselves for over two years. 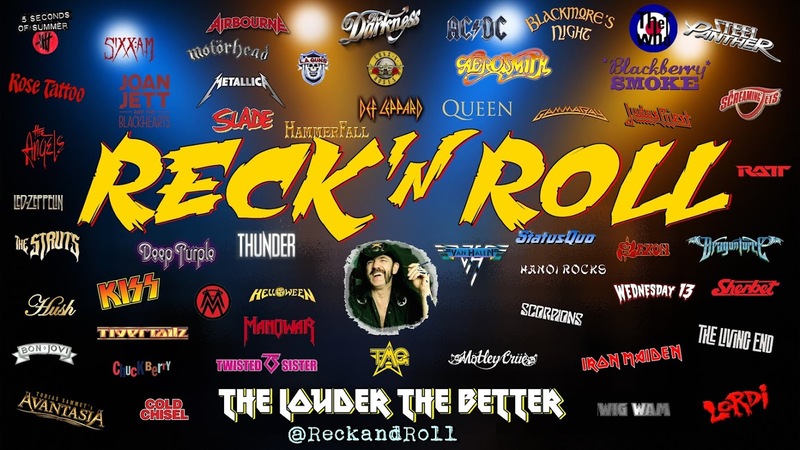 They toured there, the rest of Europe and the United States and supported varied hard rock and heavy metal bands. Their third EP, Living in England, was issued in June 1992 and included cover versions of Johnny Cash's "Folsom Prison Blues" and AC/DC's "Ain't No Fun (Waiting Round to Be a Millionaire)".The EP spawned the title single, "Living in England", which peaked in the top 20 in July. while the album eventually reached No. 3 in July 1994. Heaney was permanently replaced in the line-up by former BB Steal drummer Craig Rosevear, also from Newcastle, in July 1993. 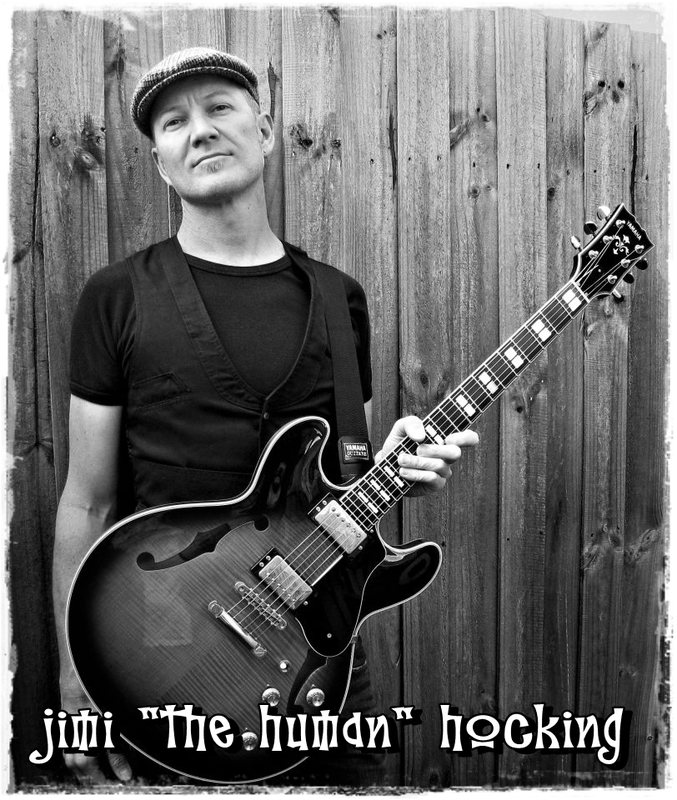 In January 1994, after a US tour backing Def Leppard, Lara was replaced by Melbourne guitarist Jimi "The Human" Hocking (ex-Spectre 7). Both "Helping Hand" (March) and "Tunnel" (August) were Top 40 singles from Tear of Thought. While The Screaming Jets remained only moderately successful overseas, in Australia they became one of the top-drawing live bands of the 1990s, their singles often charted and they achieved the rare distinction of being embraced by both commercial and indie-music focused radio. 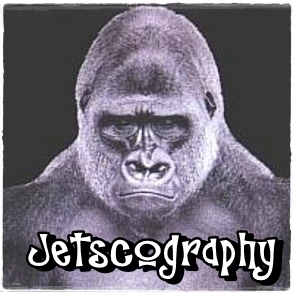 The album was produced by Steve James and rooArt had passed their contract to BMG. 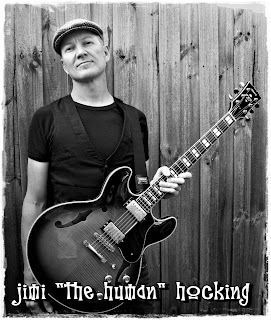 Hocking had left by June and was replaced on guitar by Ismet "Izzy" Osmanovic (ex-Judge Mercy).BMG released a compilation album, Hits and Pieces in November 1999. One new track, "I Need Your Love" was issued as a single and the limited edition included an eight-track bonus disc. By the late 1990s the band were touring less and had not released an album of new material since 1996. 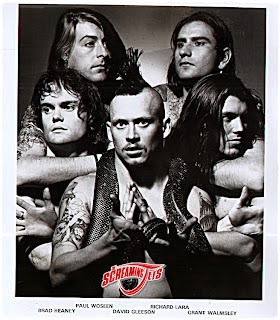 As well as undertaking the extensive Last Great Rock’n’Roll Show of the Century Australian tour which was launched in November 1999, the group had started recording their next studio album, Scam, with former Skyhooks producer Ross Wilson.By early 2000 Rosevear left to be replaced by on drums by Col Hatchman. 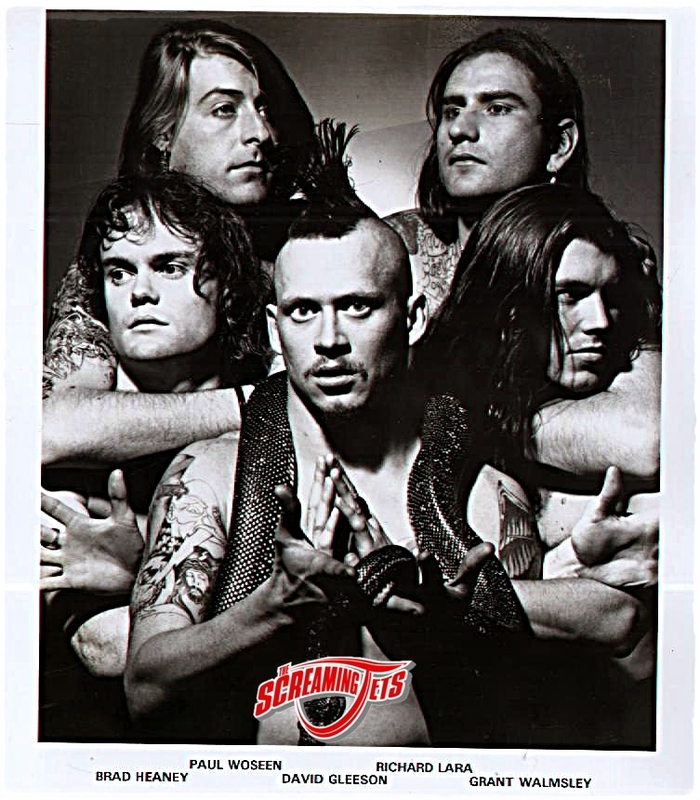 The Screaming Jets released their fifth studio album, Scam, in October 2000 on Grudge Records through Universal Music. They were selected to tour with Kiss and Alice Cooper in 2001. In June the band performed their last concert in Newcastle before an extended break from touring and recording. The live album, Live Forever, of the show was released in December 2002. They did not play live again until mid-2004. Since 2004 they continued to record and tour, though not as much as the the early 1990s and signed with Universal Records. They recorded another EP, Heart of the Matter, which was released in August 2004. 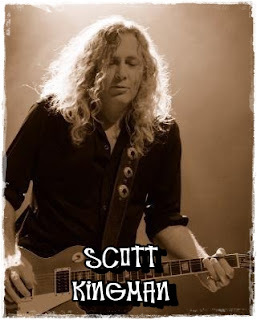 In November, Hatchman left the group, his last performance was recorded for a live CD (Rock On), and associated DVD (Rock On), both were released in 2005, on Liberation Records. 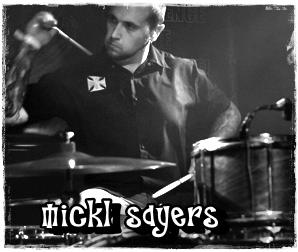 Hatchman was replaced by current drummer Mickl "The Slayer" Sayers formerly of Sydney band Tripguage. Early in 2007, founding member and guitarist Walmsley left the band and was replaced by Scotty Kingman, who engineered the band's next album, Do Ya. 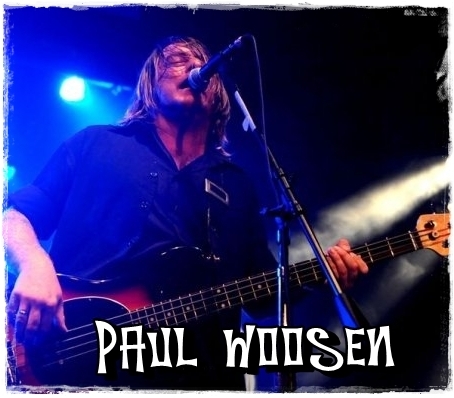 According to Dave, Walmsley left because his external commitments interfered with the band's schedules. Walmsley formed indie roots band, Agents of Peace, in Newcastle with Rod Ansell on harmonica, saxophone, guitar and vocals; Travis May on piano and organ; and Allon Silove on double bass and vocals. 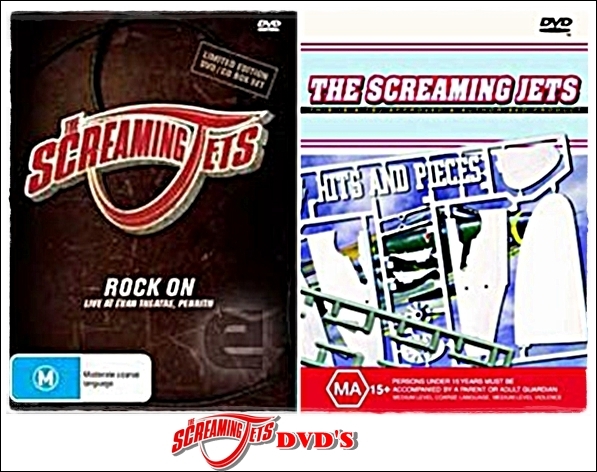 In October 2008, The Screaming Jets released Do Ya through StockXchange Music, which is distributed by Sony Music. New songs "141" and "Do Ya" became regular live additions to their set lists. In October 2009, Osmanovich left and Hocking returned to the line-up. Live shows from The Screaming Jets were infrequent through 2010 and 2011. In September, 2011, The Screaming Jets joined Rose Tattoo, The Baby Animals and The Poor for A Concert For Clarkie - a sold-out show at Sydney's Enmore Theatre in tribute to Greg Clarke. On 7 January 2012, the Screaming Jets played the Summernats festival in Canberra, to more than 9000 people. 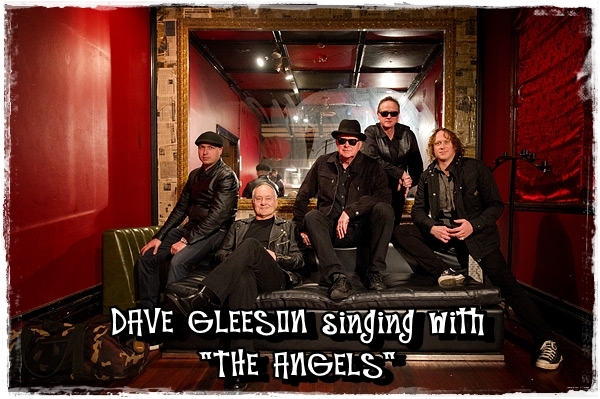 During the show, lead singer Dave Gleeson announced the band would be "taking a break." An emotional farewell took place onstage between band members during the last song. 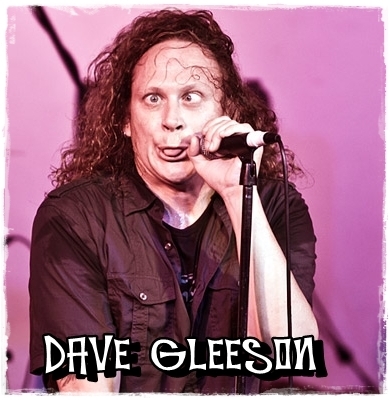 In May, 2012, lead singer Dave Gleeson announced on his MMMFM radio show The Screaming Jets would reunite "sometime in 2013" to record a new album.....Gleeson also recorded with The Angels doing their new album "Take it to the Streets" and a rocking album it is.....A documentary charting the history of The Screaming Jets is now in production. 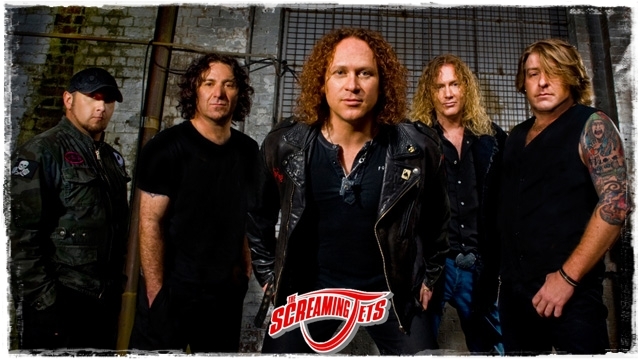 In mid-April, 2013, The Screaming Jets will play one live show in Sydney. It will be their first live performance in 15 months.